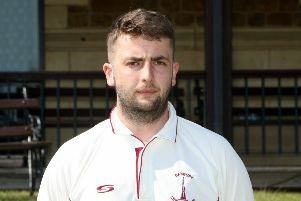 Great & Little Tew captain Andy Harris will be looking for his side to consolidate top spot in the Home Counties Premier League when they entertain Gerrards Cross on Saturday. Harris saw his side make the most of sunnier climes in Hampshire to record a seven-wicket success at Cove to regain top spot in division two ahead of this week’s fixture at Ledwell Road. With so many games falling foul to the weather, the Ledwell Road club made sure they took full advantage at Grasmere Road where Matt Woods was in top form. Harris elected to field and Woods soon took out the top order, claiming the first five wickets to reduce the hosts to 48-5. Najeeb Malik and Andrew Short put on 71 runs for the sixth wicket but runs were hard to come by. Trying to pick up the run rate, Cove saw wickets fall at regular intervals, Lawrence Brock mopped up the tail as they were dismissed for just 131 runs. In reply, Joe White 45 was soon into his stride and, although the visitors lost three quick wickets when he went, a partnership of 69 between Martin Coetzee and Jordan Garrett saw Tew home in the 29th over. The following day, last year’s beaten finalists were knocked out of the 2015 Davidstow Village Cup. But Harris said: “We’ve had a good start with four wins out of six but now we need to carry that on throughout the longer format. “We lost a couple of quick wickets at Cove after Joe White was out but we soon got back on track through Martin Coetze and Jordan Garrett.